To determine if you should sell your home, consider life circumstances, but also your financial situation like the amount of equity you have in your home, your ability to afford a new home, and all of the costs of selling. You’ll also want to understand the local housing market and how seasonal trends can impact your goals. 1. How much is my home worth? To estimate how much your home is worth, most real estate professionals compare recently sold homes in your neighborhood that are similar to yours. These comparable homes are often referred to as “comps”. By comparing the sale price of different comps, you can get a sense of the price range home buyers might pay for your home. When searching for comparable homes, you’ll need to consider things like the number of bedrooms and bathrooms, the square footage of the home, and any unique features. The challenge is that no two homes are exactly the same so you’ll need to make adjustments for each individual feature; it’s extremely hard to do this precisely for each comp. Luckily, computers are really good at this task. Use our home value tool to get an estimate using the latest market data for comparable homes. If you want more than just an estimate, request an offer from us; it’s free and there’s no obligation to accept. We value your home based on the information you provide about your home, current market trends, and data from hundreds of recent comparable home sales. We also have a team of local pricing experts so you get the best of both worlds. There’s a better way to sell a home. Selling to Opendoor is a simpler process: get an all-cash offer, choose your close date, and know your fees up front. 2. Do I have enough equity to sell my home? You’ll typically want to have enough equity in your home to pay off your mortgage, the costs of selling, and the costs of moving. Many people also wait to sell once they have enough equity to put towards a down payment on their next home. According to recent data from Bankrate, most homeowners do not build enough equity in their home to offset buying, closing, and moving costs until they’ve been in their home for around five years. Home equity is the percentage of your home that you truly own. Let’s say you bought your home entirely with your own cash, then you would have 100 percent equity. However, most people choose to borrow money to buy a home, which means they slowly build equity as they repay the loan with interest each month. Use our home value tool to estimate the market price for your home. You can find your loan balance on your latest mortgage statement. It’s possible to have negative equity in a home, meaning you owe more money than the home can sell for. This is commonly called being “underwater” on your mortgage. Selling your home for significantly less than you paid is typically done as a last resort. Understanding how much equity you have is a good first step in determining if you should sell your home. Once you have an idea of “how much of your home you own”, you can estimate if your equity will cover the costs of selling. 3. How much will it cost to sell my home? When selling a home, many people fixate on the 5-6 percent that’s typically paid in agent commissions. However, the total cost of selling a home can come closer to 10 percent of the sale price. Some of these additional costs include seller concessions, closing costs, repair costs, and housing overlap costs if you aren’t able to line up the sale of your home with the purchase of your next. And of course, don’t leave out the cost of your time and sanity. Our in-depth guide on how much it costs to sell a home breaks down each of these expenses and how to plan for them. You can use our home sale calculator to estimate the total costs of selling your home. Our calculator takes into account the remaining balance on your mortgage so you can understand how much you may pocket after the sale, often called your net proceeds. And if you’re buying a home, see our guide on determining how much home you can afford. 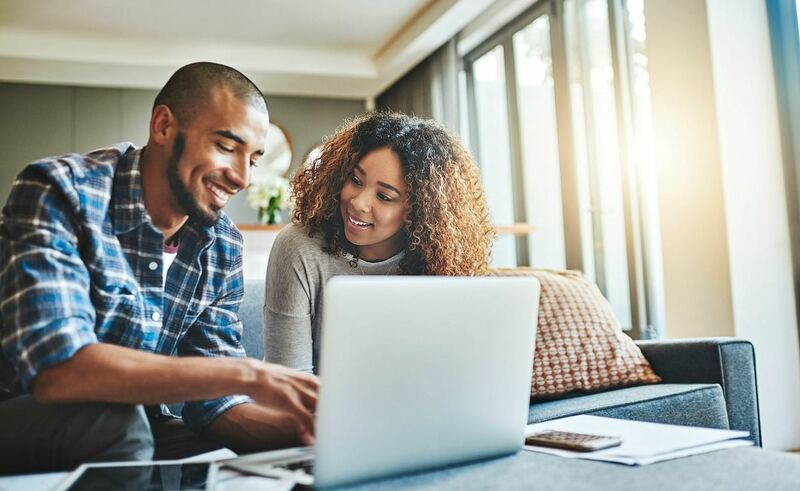 Typically, the loan you can qualify for depends on the ratio of your debt to income, so it’s important to have a strong understanding of how much money you have coming in each month versus money that’s paying down debt. As a conventional rule, many lenders will require that your housing related expenses do not exceed 28% of your gross income, and your total debts do not exceed 36% of your gross income, often called the 28/36 rule. 4. How long will it take to sell my home? To determine if you should sell, consider your moving timeline and how when you move might impact your goals. Taking longer than expected to sell can have a financial impact. It can delay a job opportunity, force you to incur costs like storage fees or temporary housing, and of course, selling a home means maintaining it. One of the strongest indicators of how long it will take to sell your home is Days on Market (DOM). This is a real estate statistic that tracks the amount of time a home is active on the market from listing until a contract is signed. For example, the average DOM for all US markets in February 2019 was 83 days, according to realtor.com. However, DOM will vary widely based on the season and local market conditions. To get a sense of how long it’s taking homes to sell in your area, look at the average DOM for similar homes nearby. In the past, we’ve covered the factors that impact how long it takes a home to sell and the best time of year to sell. Ultimately, the length of time a home stays on the market is dictated by factors outside of your control like how “in demand” your neighborhood is, the number of homes for sale, and the seasonality of the market—home sales tend to peak in the summer across the country, according to National Association of Realtors (NAR). It’s also important to understand how current market trends like interest rates, homes sales, and home price appreciation might impact your goals and timeline. See our tips for selling your home fast. As a seller, you’ll be required to disclose any known issues with your home to buyers. You aren’t required to make repairs, but you’ll likely need to price your home based on the costs of needed repairs or you may need to offer a concession to the buyer so they can do the repairs themselves. Expensive repairs like fixing an HVAC unit or fixing a pool, for example, can be a deal breaker for buyers looking for a move-in ready home. One of the advantages of selling to Opendoor, is we can handle any necessary repairs allowing you to skip the work and move on your timeline. Our philosophy is to look for things that the next reasonable buyer would want to fix. These are items that impact the safety, structure, and functionality of the home. Here are common repair items our estimators find. Before selling, it may be tempting to undertake large renovation projects to improve your home value. However, few of these projects recoup their costs in full after you sell your home, according to Remodeling Magazine’s 2019 Cost Versus Value Report. The report found that minor updates to the exterior of the home had the highest returns. Read our in-depth guide on expert tips to increase your home value. Selling to an iBuyer can help you save on time and costs. Learn how it compares to the traditional process. 6. How should I sell my home? Selling a home the traditional way isn’t a passive experience. It involves preparing your home for sale, working with an agent, making repairs and improvements, showing your home, and negotiating with potential buyers. There is also the uncertainty of when you’ll receive a good offer and if that offer will make it to close. There are many different ways to sell a home. To determine if you’re ready to sell, consider the amount of time, resources, and energy you can invest in the process. Do you have the flexibility to prepare and show your home? Are you able to make improvements and repairs if needed? How long are you willing to wait for an offer, and how willing are you to negotiate? If you’re selling the traditional way, working with a real estate agent provides guidance throughout the process. A real estate agent can also help market the home, coordinate with the buyer’s agent, and handle paperwork related to the sale. See our guide on how to choose the right real estate agent. How much do real estate agent commissions cost? As a seller, it’s typically your responsibility to pay the commission that is split between the listing agent and the buyer’s agent. Commission rates for real estate agents vary, and these rates are often negotiable. According to Forbes, the average cost of real estate agent commissions is 5 to 6 percent of the sale price. That means if you’re selling your home for $200,000, you’d pay $10,000 in agent commissions. Learn how the cost of selling to Opendoor differs from a traditional sale. There are other options outside of the traditional model, like selling to an iBuyer. For example, Opendoor can make a competitive, all-cash offer on your home within 48 hours. If you accept, we charge a transaction fee similar to the real estate agent commissions in a traditional sale. The advantage is you can move on your timeline without the months of uncertainty and the hassle of listing. Learn more about our pricing, the types of homes we buy, and the markets where we buy them. And if you’re buying and selling at the same time, consider trading-in. This allows you to line up the sale of your current home with the purchase of your next home so you can move in one simple process and avoid housing overlap costs. While life events like a family milestone or a new job can encourage you to sell your home, the decision often involves many other factors. Understanding your finances, your timeline, and how you’ll sell can provide good insight into whether you’re ready to sell your home. Use our home value tool to estimate how much you could sell your home for. A good place to start is to understand the amount of equity you have in your home, and if the proceeds from a sale can cover the total costs of selling, moving, and potentially putting a down payment on your next home. Use our home sale calculator to estimate your costs and net proceeds. Timing can also impact whether you’re ready to sell. You can get a good signal of how long it will take to sell your home by looking at the average Days on Market for similar homes in your area. You may need to also consider the impact of market trends on your home value and goals. There are many ways to sell a home, each with their different advantages. Compare the costs and benefits of the traditional process with alternatives like selling to an iBuyer. Having a plan is a good sign you’re ready to start the process. Opendoor is not a financial, tax, legal, insurance, or investment advisor, and this article is meant for informational purposes only. Opendoor always encourages you to reach out to an advisor regarding your own situation. Sell your home directly to Opendoor, so you can skip the hassle and months of uncertainty. Get the latest real estate tips, trends & insights delivered straight to your inbox.